(NaturalNews) I have a plan for winning the GMO wars and bankrupting Monsanto, the world’s most evil and destructive corporation. The full plan is outlined on the Health Ranger Report being broadcast this Thursday on TalkNetwork.com, our new talk radio network featuring 28 hosts and 24/7 audio streaming. Click here to view the show schedule. As citizens who support the free market, it is not merely our responsibility but our economic authority to reward companies that operate ethically while economically penalizing corporations that wreak destruction on our world. Monsanto — as the world’s most evil corporation engaged in genetic pollution, seed monopolization and the mass poisoning of humanity with cancer-causing glyphosate — needs to be rendered bankrupt by the fundamental laws of supply and demand. It’s already beginning to happen, in fact. Monsanto’s share price has already plunged 25% from its high, and the evil corporation is laying off over 1,500 workers. 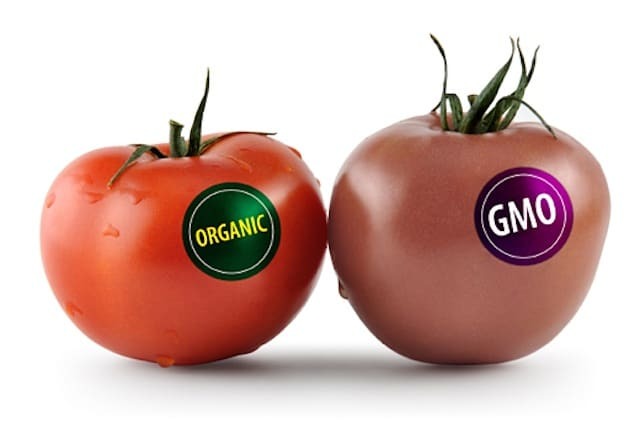 Food manufacturers, meanwhile, are finding that they sell more food if it’s labeled non-GMO, so demand has skyrocketed for non-GMO wheat, corn and soybeans. Demand is so high, in fact, that there now exists a massive economic opportunity for farmers to earn huge incomes by growing non-GMO crops right here in America. Beyond the huge demand for non-GMO foods, there’s also increasing demand for non-GMO vitamins and nutritional supplements, too. Who wants to take vitamins made with GM corn-derived maltodextrin or vitamin C? Nobody! The good news in all this is that we don’t even need Big Government to take any action to defeat Monsanto. Although we would all love to see the government mandate basic GMO labeling and ingredient transparency (because knowledge is the basis of consumer decisions in a free market), even without mandatory labeling, we can use consumer education and free market principles to hammer Monsanto revenues and make them economically irrelevant. That’s a good thing, too, because Monsanto has infiltrated and corrupted government at every level, including at the USDA where agency enforcers are nothing more than Monsanto prostitutes pretending to be regulators. We see the same thing in academia where university professors like Kevin Folta are paid to push Monsanto propaganda while lying to the public about their conflicts of interest. The more we spread the word and educate people to choose ORGANIC and non-GMO foods, the more market share Monsanto loses. So spread the word and tune in to my Health Ranger Report episode on TalkNetwork.com this Thursday at 11am Pacific / 2pm Eastern to hear the real solutions for defeating Monsanto using free market principles. TalkNetwork.com is broadcasting right now! Click here to listen in.